Great location, big enough for a big group are one. The cottage had character and was perfect for our stay. We found it quite comfortable and it suited us perfectly. The location was excellent. It was a great base for exploring the Barossa. 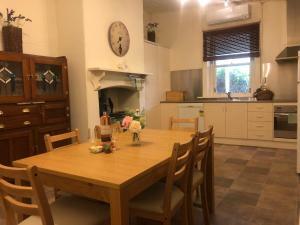 The house was clean and tidy with great heating and close to town. The location was good. Jut a short walk to town. The bedrooms were a good size. The property was clean. Its the first time in years that i have stayed in a place where i didn't think" if only they had", because they had absolutely everything i looked for. The house was clean and very inviting with plenty of space. We all enjoyed our stay and i expect to be back in the future. Nothing was particularly good..it was clean but had a bad damp ness odour throughout.. All of the furniture was tired other than a lounge suite in the lounge. Felt like we were in a dusty mouldy damp environment even though we opened the place up at the time of our arrival. We had to call into the office to get our key code as I had requested access to put some items in the fridge as we were going to lunch elsewhere for the afternoon and we hadn’t received any response re key code. Good space, well appointed. Nice location easy to walk to main street. Great family location, close to Main Street and shops. Lock in a great price for Treasured Memories Cottage – rated 8 by recent guests! Treasured Memories Cottage This rating is a reflection of how the property compares to the industry standard when it comes to price, facilities and services available. It's based on a self-evaluation by the property. Use this rating to help choose your stay! 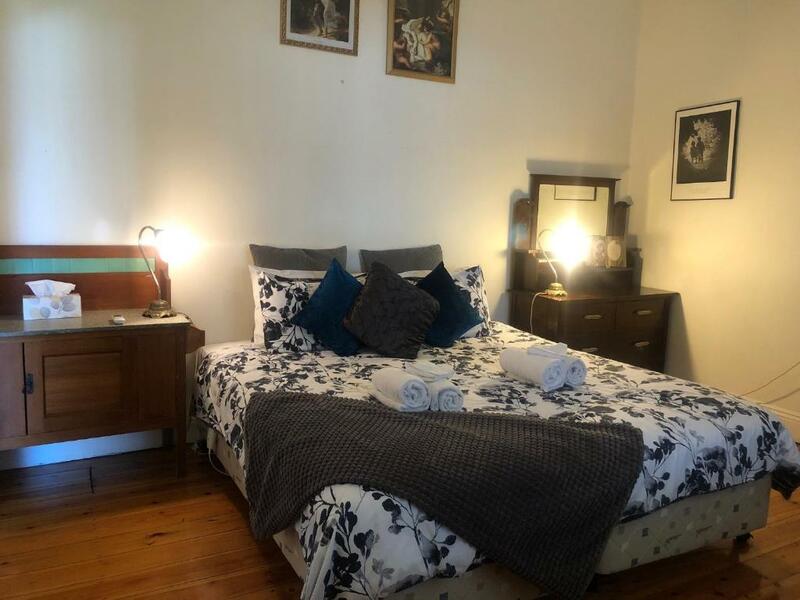 Located just a 2-minute walk from Barossa Wine & Visitor Centre, Treasured Memories Cottage provides accommodations in Tanunda with a spa & wellness center, barbecue facilities, as well as a tour desk. Guests staying at this vacation home can use the free WiFi and patio. This vacation home comes with a flat-screen TV, a seating area, a kitchen with a dishwasher and an oven, and a bathroom. Chateau Tanunda is half a mile from the vacation home. The nearest airport is Adelaide Airport, 49 miles from the property. When would you like to stay at Treasured Memories Cottage? This holiday home features a barbecue, dining area and air conditioning. House Rules Treasured Memories Cottage takes special requests – add in the next step! Treasured Memories Cottage accepts these cards and reserves the right to temporarily hold an amount prior to arrival. 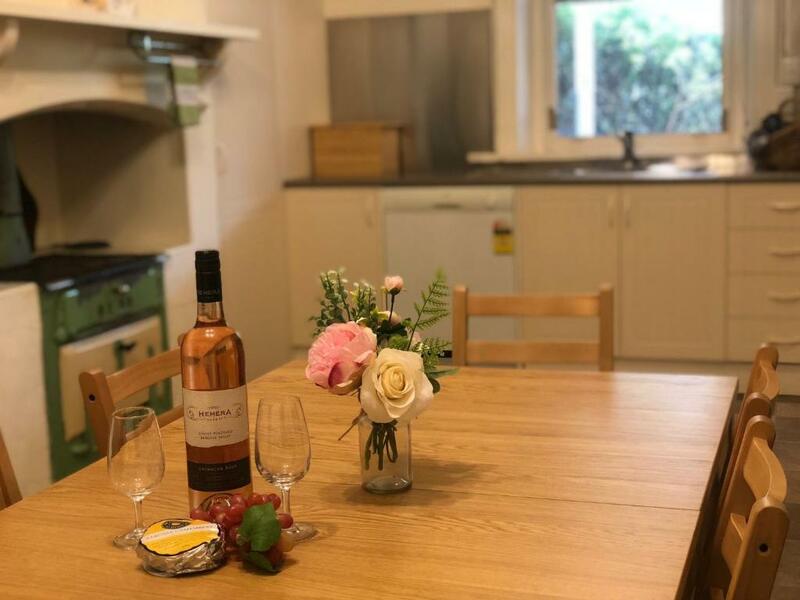 WIFI is available upon request at time of booking and is subject to availability.You can use the Special Requests box when booking, or contact the property directly with the contact details provided in your confirmation. The price quoted for pets was $25.00 and l made it clear we had two dogs. However they failed to let us know that was per dog until the day we arrived. The house may be pet friendly but the yard isn't. The boundary fence is made up of numerous types of fencing and in parts no fence which means you can't leave your dogs in the yard as ours were found in the neighbours yard. The garden is also overgrown and a snake heaven and the house in parts needs maintenance. The towel rail kept falling off in the bathroom and the non stick fry pan is definitely not non stick. The beds are extremely hard and the king beds are two singles and only held together by a flat sheet so you feel the divide in the bed and the bed comes apart not good at all. There was also a dirty towel in the laundry basin when we arrived. Overpriced for what it is. The sizeable garden was very neglected. Several of the door locks did not open as expected. A few moments of panic! Walking distance to the Murray Street and the great cafes. The property felt unloved and not maintained properly, even though bedrooms were clean. For example , there were cracks in the walls of the kitchen, the kitchen ceiling needed repainting and there were cracks in the tiles of the bathroom Also the door handles to the bedrooms didnt work properly and there wasn't enough plug points in the rooms, so much so that there was extension plugs and double adaptors in doube adaptors; in our bedroom I had to unplug bed side lamps to charge my phone-just really inconvienient. The bbq was not maintained, the hotplate was the only clean part, but the grill was filthy and rusted, and there was no bbq utensils. Outside the gardens were unmaintained, for example, the bushes at the front hadn't been looked after, they looked really scraggy, the garden looked like it hadn't been watered in weeks and the back yard had an old tatty table and what looked like a 50' s scales machine rusting away. The light out side over the bbq also wasn't working, so had to rig up a a torch to be able to cook. The kitchen had an awful lino down on the floor, that had been cut. Overall the atmosphere wasn't inviting or welcoming, (the beds were made nice but we were only given a tiny bar of soap each) and the furniture and decor did not reflect the 'treasured memories' old world charm. There was also a bedroom only accesible through another bedroom, that wasn't stated in the description. This would be fine for famillies but not for anyone travelling as a group of friends or couples. The house has potential to be great, if it was renovated to a better standard. Overall I would not recommend this property as we felt it was not value for money for the amount we paid per night. The property was dark, poorly furnished and smelt. There was very little information in the property about the surrounding areas and was very dated. It was spacious and in a good location. The staff were very good about letting us in at short notice. The kitchen floor needed a clean but the mop and bucket were locked away. There was a bird or possum or rat scrabbling in the lounge ceiling and mosquitoes at night. I’d have liked to dead head the garden and give it a tidy up. It could be lovely. Gutters were overflowing as it was raining when we arrived got a little wet getting to lock box. Was unsure of the correct driveway to use. Using booking.com I requested a check in after 2pm, the automated response was, "we cant help you with that request" yet I was sent a confirmation with a message about how easy it was to change your check in/ check out time should I need to.Had to ring for pin code anyway, customer service was excellent and we had a response within 3 minutes. We spoke to quite a few locals about our disappointment in the facility and every person knew of the property and how tired it was. It states there is a coffee machine..sorry it would not have been in use for a long time..the kitchen chairs were stained badly , and the kitchen floor covering lifted in the doorway and elsewhere which nearly caused a fall. We felt the security was poor as the back doors would not close securely. There is not even a handle on the front toor to close as you leave.the bbq was unusable. The garden was in a poor state, cobwebs, dusty pavers too much rubbish laying around..perhaps trying to fall into the museum category but more like a trash dump. Access via , the paths around the home was hazardous as much of it was broken and a risk to walk to the park area. There were old newspapers obviously delivered and not picked up..littered through the front hedges..not hard to remove. We have stayed in many places and would say this is not up to booking .com standard and whist clean generally it has issues too difficult to deal with to lift it to the standard to be safe. Even the toilet door opens outward into the passage but stays half ajar, easy for someone to walk into at night if in darkness. Bed three is accessed through bed two, and bed two has no outdoor window so is even more musty smelling. The window in there outlooks the toilet door so privacy if more than two people is not possible. There was only soap in the bathroom no shampoo etc. really very unsatisfactory!